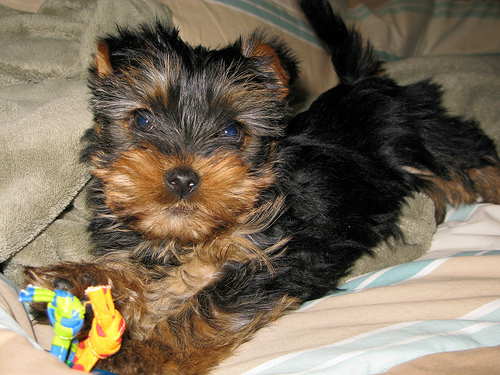 Yorkies may be small, and therefore their “accidents” not as detrimental to your home, but starting off on the right foot with potty training your new Yorkie will save you and your new addition frustration and stress down the road. Toy breeds are notoriously harder to potty train than larger breed dogs. There are several reasons for this (seemingly unfair!) truth. They are used to being carried outside and therefore have never learned how to alert their owners when they need to go potty. They have to go more often. 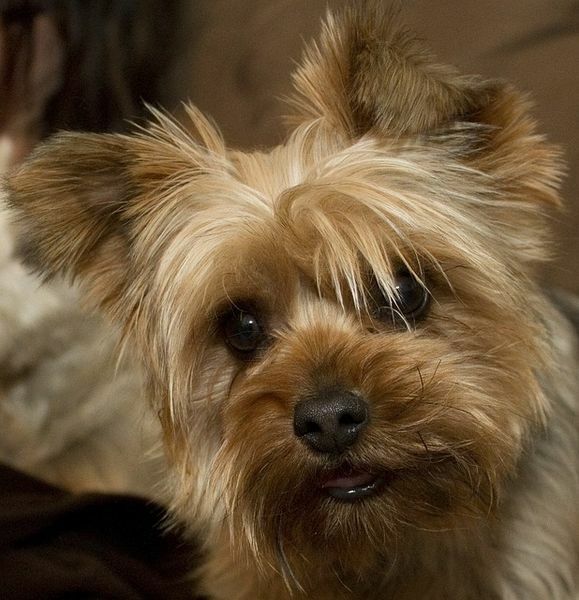 Since Yorkies are so small, they simply cannot hold their bladders and bowels as long as their larger canine cousins. This is especially true of puppies of all breeds. It’s hard to break a habit if the owner isn’t aware it’s happening. For large dogs, it can hard to miss when they have an accident in the middle of the living room floor. 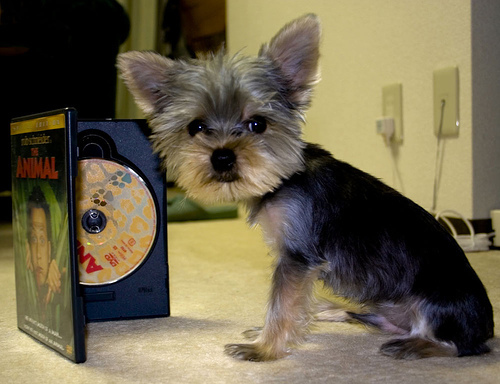 For Yorkies, however, owners just may not notice if and when their tiny dog has urinated—especially if it’s on the carpet. And when your Yorkie’s “accident” isn’t followed up with any corrective behavior (like immediately being taken outside), they may learn to think this is accepted behavior. 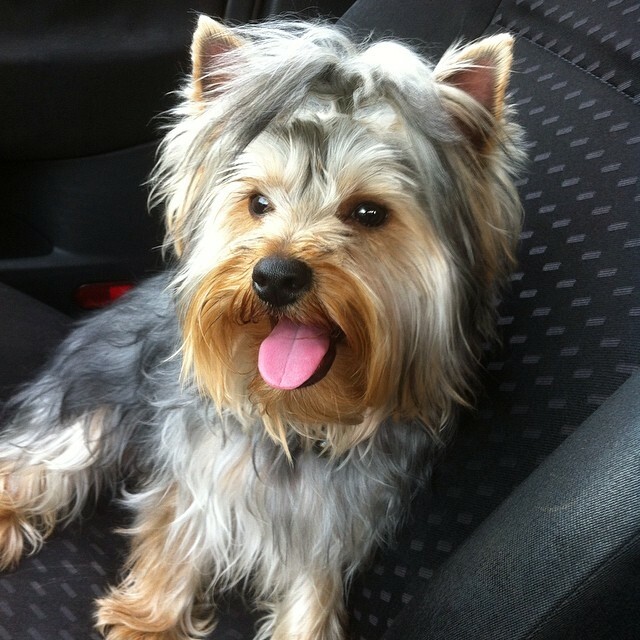 If you are experiencing difficulty training your new Yorkie, keep reading to find helpful tips, tricks and training methods to housebreak your new pup. If you have adopted from a reputable breeder, then hopefully they will have already started on the basics of potty training before you even pick your pup up. Since most puppies are raised in a whelping box (a low-walled box where mother and puppies spend their first several weeks of life), they have probably already developed the instinct that tells them not to eliminate where they eat and sleep. If however, you have purchased your dog from a pet store where the dog has spent most of its life in a cage (where it has had no other choice but to eliminate where it eats and sleeps), it is still not too late to break the habit. And start as soon as you get home! Puppies as young as 8 weeks can be started on crate training. Crate training is the most popular and successful method of housebreaking dogs of any breed. To get started, you will need a wire crate with a plastic bottom (be sure to get one with a removable bottom which are much easier to clean!) The idea of crate training works with the idea that dogs do not like to eliminate where they eat or sleep. To start, only have your new puppy out of the crate when you are actively playing with him or he is eating. Do not let him wander around the house when you are not paying attention. This is key—because you don’t want to give your pup the chance to potty unless he is outside. As soon as you are done playing with your pup, put him back in his crate. The next time you want to take your dog out, immediately go outside on a leash and take him to the same general area of the yard. Have a key phrase or word to tell your dog it’s time to eliminate. Then, if and when he does eliminate, praise with him words or even a treat while you still outside. Puppies should be taken outside to go potty at least every 1.5 to 2 hours. And resist the temptation to pick up your puppy and carry him outside. It may be a lot faster—but your dog is not learning that the act of walking to the door is to signal that he needs to eliminate. It is important to make the crate feel like a safe and secure place for your puppy and not a place of punishment. To achieve this ideal, try putting a soft blanket and favorite toy inside. For Yorkies, especially when they are puppies, be sure to partition the crate off so that the area they are allowed is just big enough for them to be comfortable. 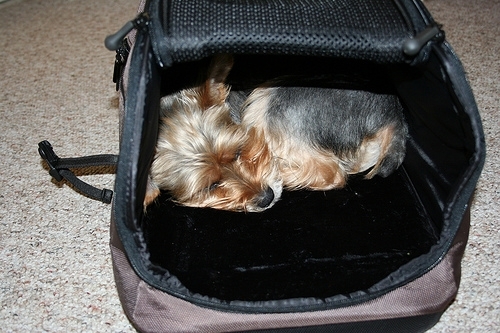 If a tiny Yorkie is put in a 5-foot long crate, then they might not mind eliminating on the other end! Be patient! As noted above, puppies do not have the bladder size (or control) of older dogs. Mistakes will happen so try to stay calm when accidents do happen. Feed on a schedule. Dogs like consistency, and being fed at the same time every morning and evening will help them learn a routine and make potty habits predictable. All dogs are different, but you will soon learn how often your dog needs to eliminate. Try a bell on the door. Once your dog has been successfully crate trained, you may want to consider hanging a bell on the door so your dog can learn to associate the sound of the bell with the door opening. This can be especially helpful with small breeds that can be so quiet—owners may not notice their dog walking to the door! Use the right kind of cleaner—especially on carpet or other fabrics that retain odor. When accidents do happen, be sure to use a cleaner that is specifically for pet stains, which typically have enzymes that remove odor. Using the right cleaner will help prevent your dog from wanting to go in that same spot next time. Most experts agree that punishing a dog for eliminating in the house is ineffective and even counter-productive: often, when an owner finds a puddle (or pile!) in the house, their first instinct is to go and get their dog and scold them over it. Since dogs have such short memory spans, what you are communicating to the dog is not that going in the house is bad, but that it’s the urine or feces that is bad. This usually leads the dog to eliminate in secret. If you happen to catch your dog in the act, the best thing to do is to calmly and quickly take them outside to their designated potty spot. While most of the advice in this article is geared towards puppies, older dogs that are not housebroken can also be trained to potty outside. The most common issue, especially with rescued dogs, is that they have practically spent their entire lives in a wire cage where they have had no choice but to eliminate. Sadly, puppy mill dogs become used to lying in their own waste. The solution to a dog coming from a rescue situation is patience and understanding. 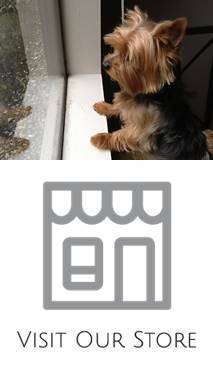 It can be hard to fathom that the outdoors can be a frightening place, but for a puppy mill dog, being in such a large and open space with never before seen sights and smells can be simply overwhelming. Add that to the fact that the act of eliminating is a very vulnerable undertaking, because that is when an animal is most likely to be attacked. Try taking your adult dog on a walk to see if he eliminates on his own. Keep distractions (like speaking to your dog) to a minimum so he can relax and unwind enough to be able to eliminate. Crate training can still work in these situations, you just may have to take the dog outside more frequently to prevent them eliminating in the crate. Be sure to offer lots of praise when he does potty outside. Teacup. 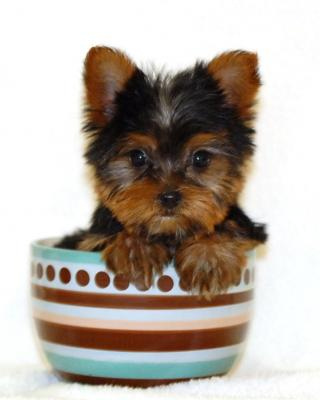 I contacted the breeder and was told that she did not guarantee a Teacup or not and I got what I paid for. Is there any place I can report this problem to? I think the breeder should be stopped from false sales.